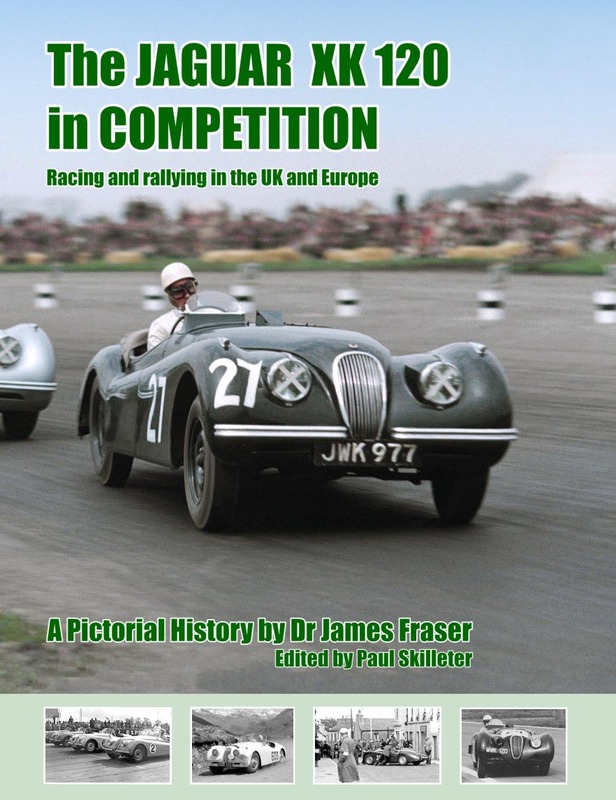 We were very pleased when the original hardback version of our book on Britain's first Formula One World Champion was recently nominated in Octane magazine by book specialist Ben Horton as being firmly in his top ten best motoring books of all time. 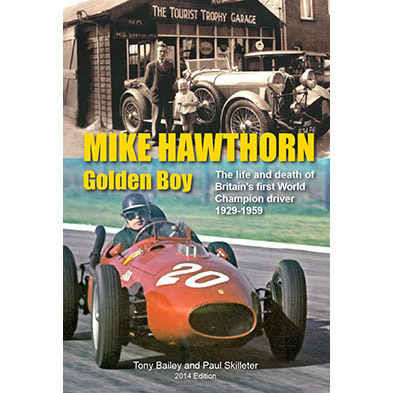 Well, by a genuine coincidence a reorganisation of our stores revealed a small number of the long out-of-print hardback first editions of Mike Hawthorn Golden Boy, in both standard and leather slip-cased versions. 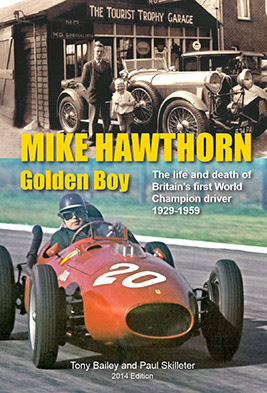 Classic and Sports Car, Dec 2008 said- "BOOK OF THE MONTH - CANDIDATE FOR BOOK OF THE YEAR"
"Anyone who has discovered the captivating Mike Hawthorn website by joint author Bailey will relish this in-depth biography of Britain's first F1 World Champion ...... Best of all, this absorbing work isn't just a glowing tribute. Bailey reveals Hawthorn's spoilt character, troubled personality and erratic talent. A candidate for Book of the Year. MW. 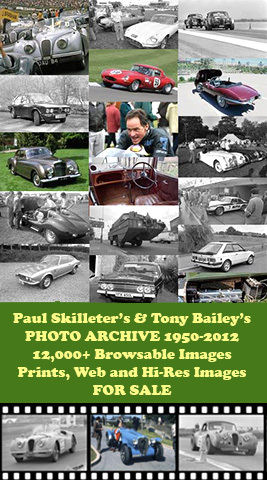 Classic & Sportscar Magazine"
A purchaser also remarked: "If there's one book I'd recommend you add to your xmas list this year it's this title. It has to be the best motorsport book I've ever read! It's truly brilliant in the way the book has managed to mix description from the authors, memories from people who knew Mike and collections of photographs and memorobilia. The Hawthorn era was long before I was born but this book has brought it to life. If anyone has read 'Mon Ami Mate' this is the perfect companion as it focuses on Mike the person rather more so than just a recount of his racing career." 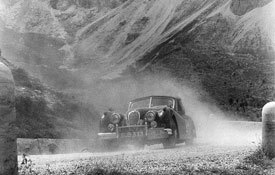 One of the most significant and praised motoring books to be published in recent years and a particularly lavish production, this book is a unique record of the life and times of Britain’s first World Champion, much of it told by those who knew him. It includes a vast amount of new material which came to light while the book was being researched – much from people who knew Mike and who have provided us with first-hand descriptions of the man at work and play. This book primarily concentrates on Mike's personal life together with full details of his racing career, the latter introduced by respected journalist Doug Nye. We have much input from many who actually knew him in daily life and have come forward with their stories. It also includes some relevant articles that have been previously published only in specialist magazines. 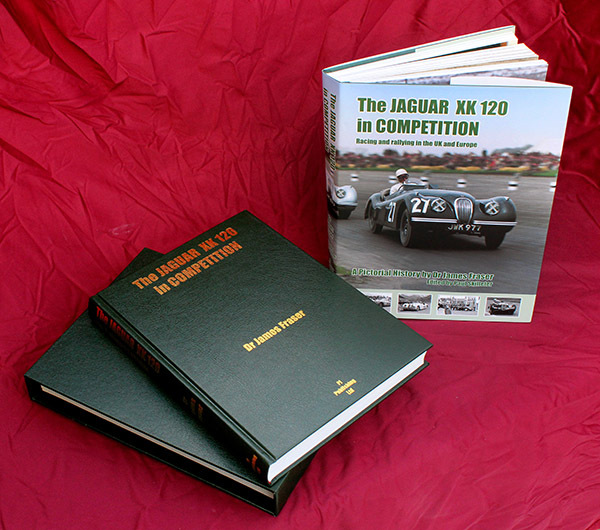 Mike's motor racing career is covered with many photographs, and the book singles out for close examination his special relationship with Jaguar – the cars and the company. 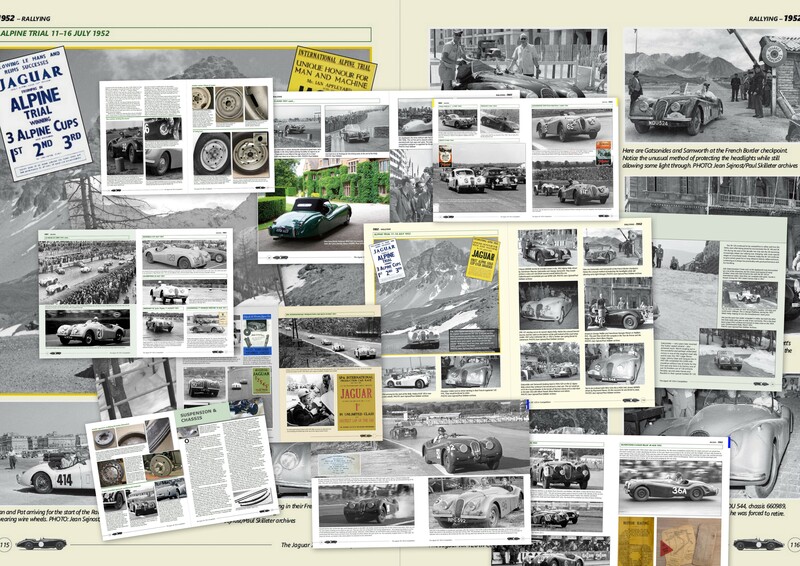 This includes a detailed examination of Mike’s role in the 1955 Le Mans disaster, for which many believe he was unfairly blamed, and the circumstances surrounding his death in VDU 881, the 3.4L saloon he fatally crashed on the Guildford by-pass on 22 January 1959. His many personal cars that he owned and also in some cases, raced, are covered in as much detail as possible. Existing owners have been interviewed worldwide for period photos and facts from the time of Mike's ownership. There are also specially-commissioned drawings of Mike’s cars, and even overhead photographs of key locations. Along with this new material, the book also reveals extraordinary fresh evidence relating to his death. 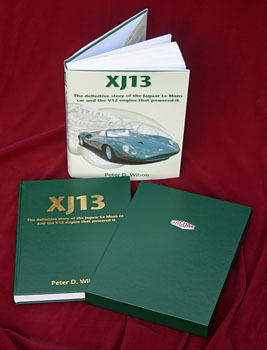 It has full details of his racing career with a never-before attempted listing of all his race-car numbers. 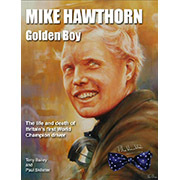 If you want to, you can read and see more about the book on The Mike Hawthorn Tribute Site.